SAMBA+ are Samba software packages for a variety of Linux distributions provided by SerNet and offered at shop.samba.plus. The subscriptions are managed via OPOSSOat https://oposso.samba.plus. 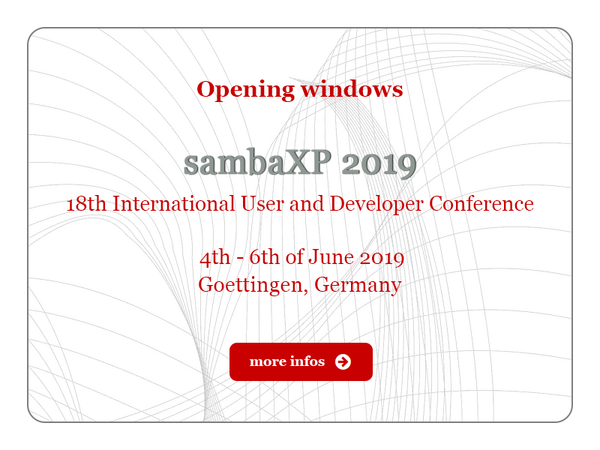 SAMBA+ is built from one source package for all platforms, always up-to-date, including most recent clustering and authentication methods (GPFS, Active Directory) and is produced with respect to stability and performance (see all the SAMBA+ advantages). SAMBA+ users come from all industries, public and private institutions and ask for support and consulting services in addition to the software itself. SAMBA+ is also a good choice for appliance vendors and cloud service providers. Do not hesitate to contact us for more information!